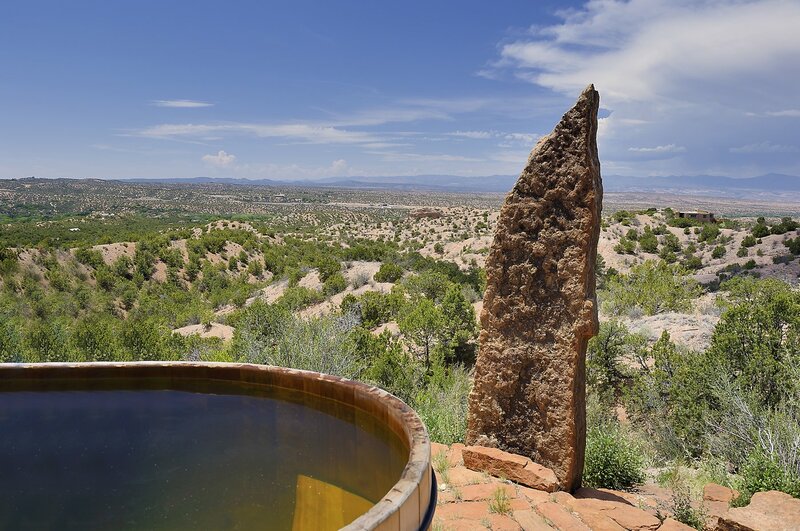 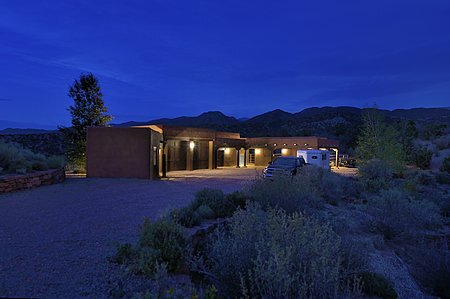 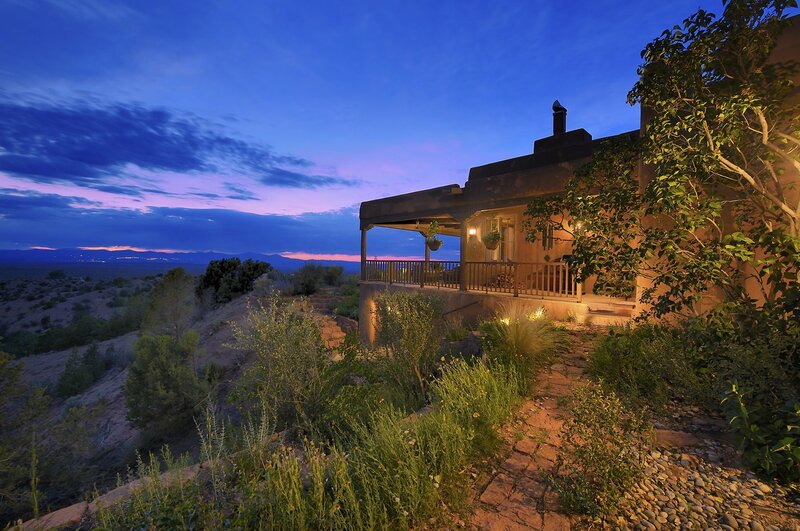 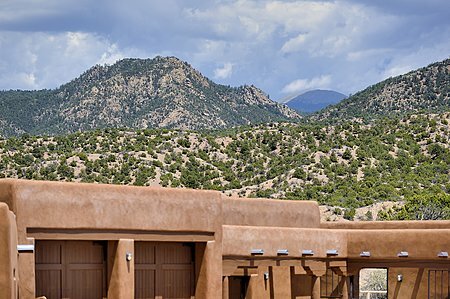 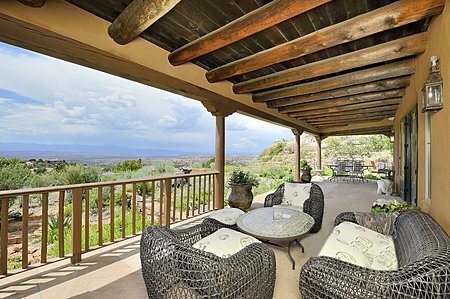 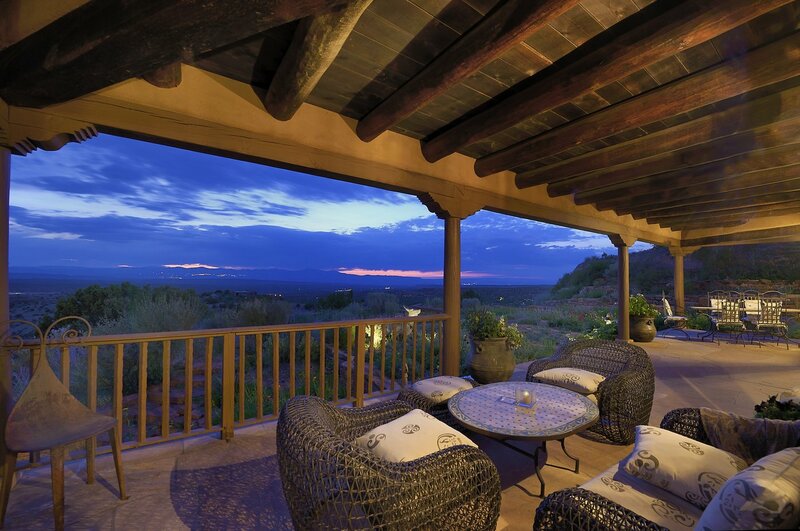 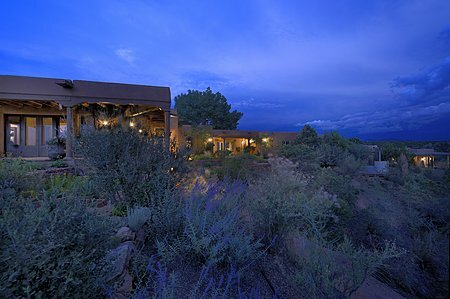 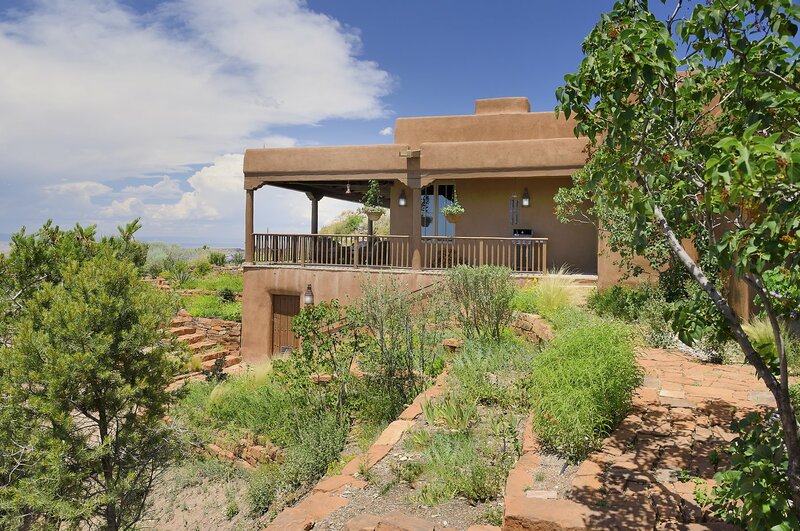 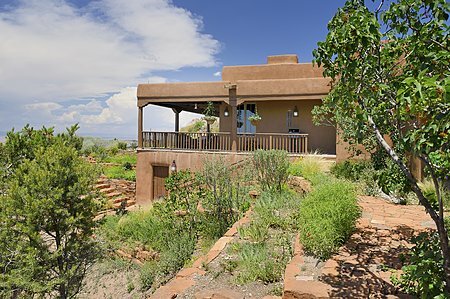 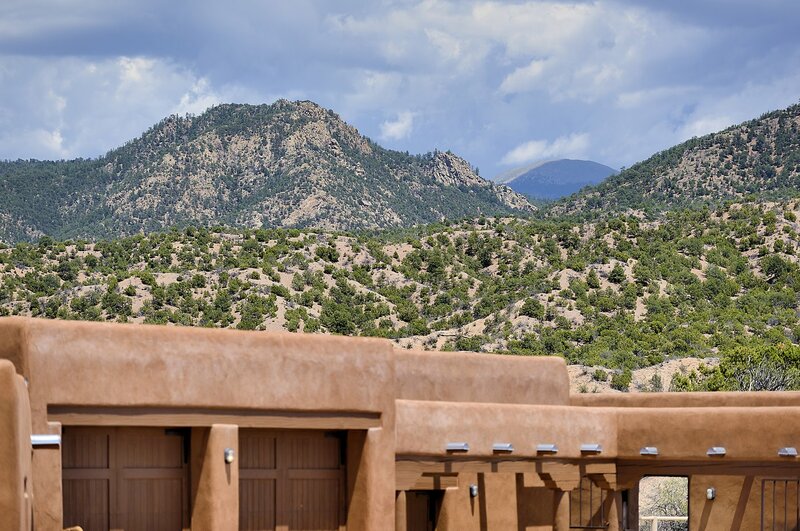 This significant, private hilltop estate showcases some of the best views found in Santa Fe. 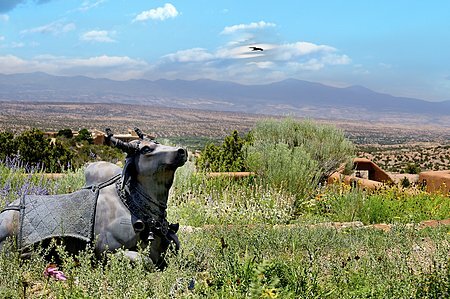 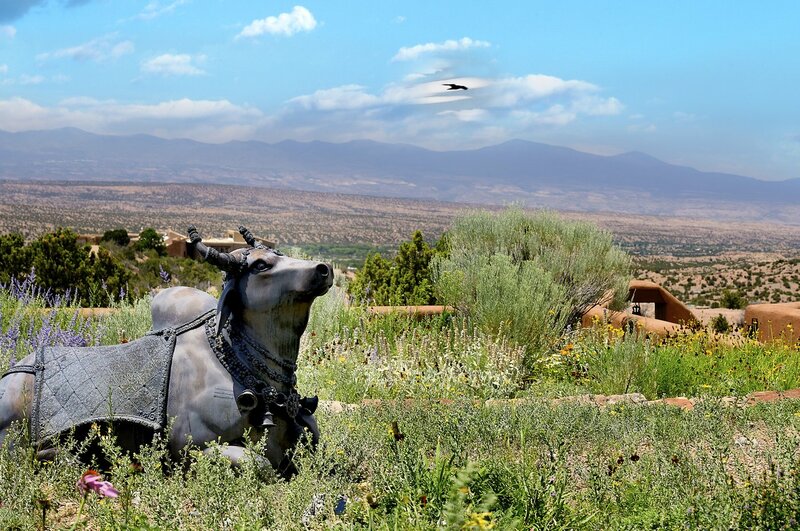 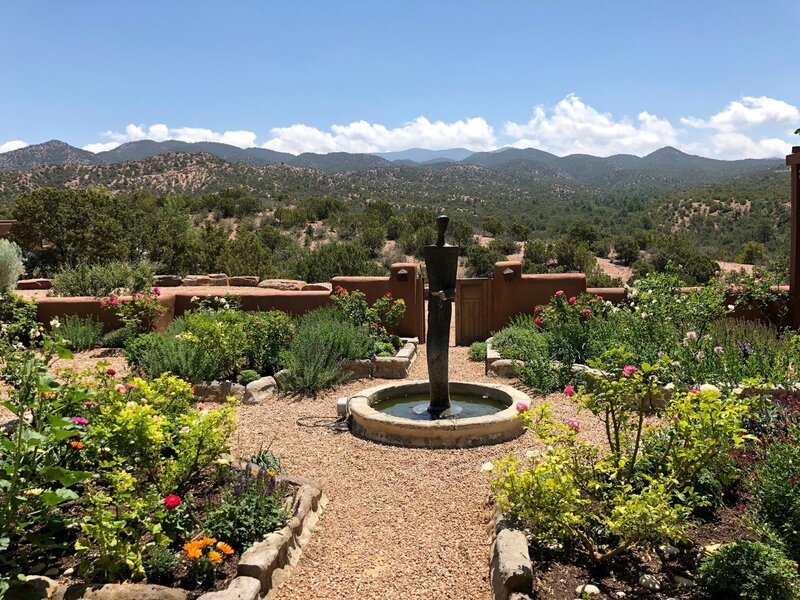 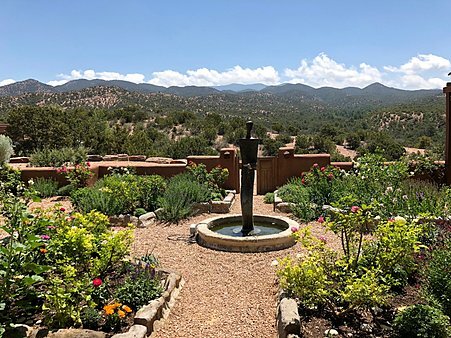 Only a fifteen-minute drive from the heart of Santa Fe, this offering has a gated entrance, main house, guest house and equestrian facilities, surrounded by 25 private acres located above the historic village of Tesuque. The main house is the epitome of elegant, understated country living, graced with twelve-foot ceilings, massive beams, skylights and exquisite finishes. 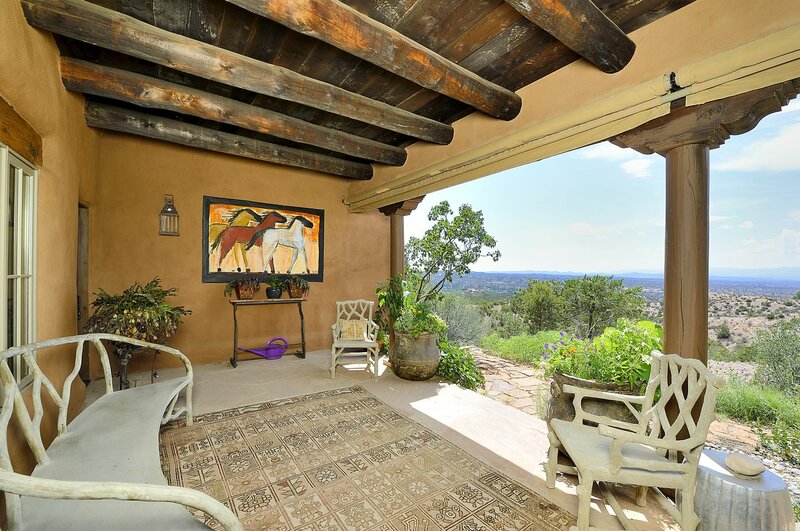 Old-world charm prevails, with wildflower terraces and a formal rose garden. 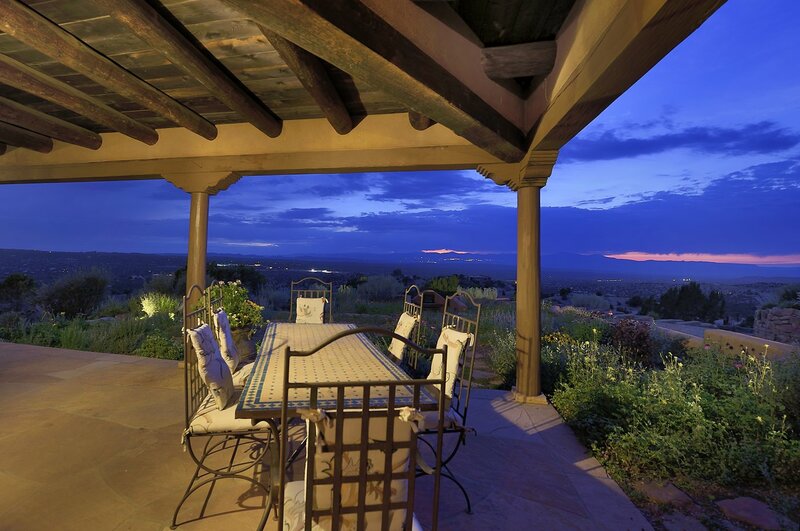 An open-plan flow from living and dining areas leads to the large country kitchen. The audio-visual system has a discretely installed, state of the art retractable projector and large screen. 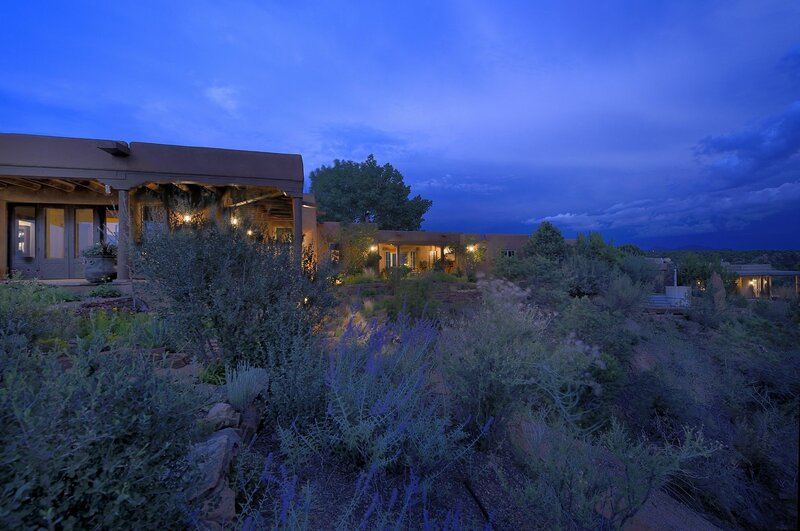 Two bedroom suites are well-separated and an office with built-in bookcases adds functionality. 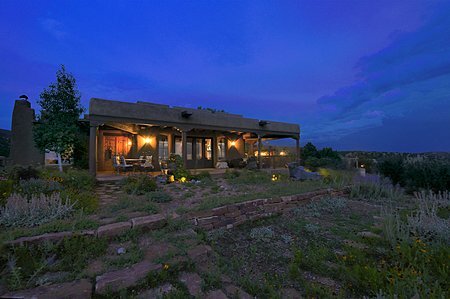 The master suite has gracious proportions, a fireplace, sumptuous walk-in closet, large bathroom, and deep, west-facing portal. Direct entry from a three-car garage and wine cellar complete the main house. 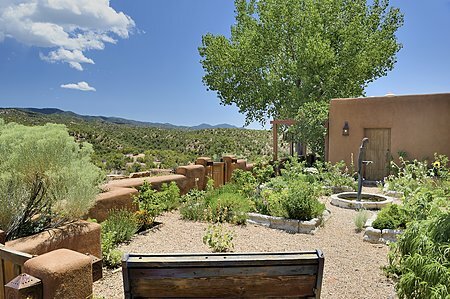 Flagstone paths lead to the charming one-bedroom, one bathroom guesthouse with open-plan kitchen and living areas. The stable block has a three-stall barn, hay storage and tack room, additional oversized double garage and private studio. 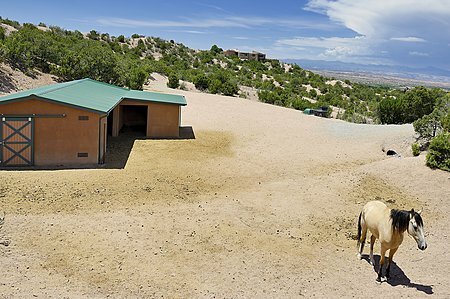 There's a second barn/loafing shed, arena and steel pipe fenced five-acre paddock. 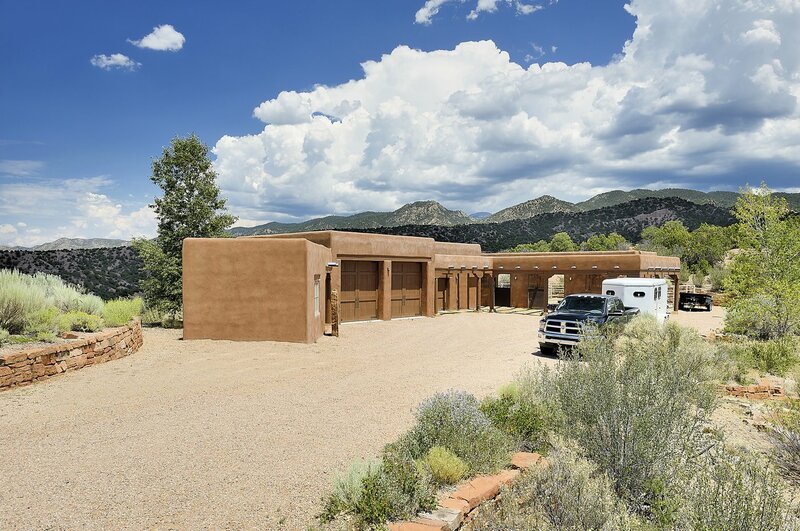 The property is on five separately-deeded 5 acre lots. 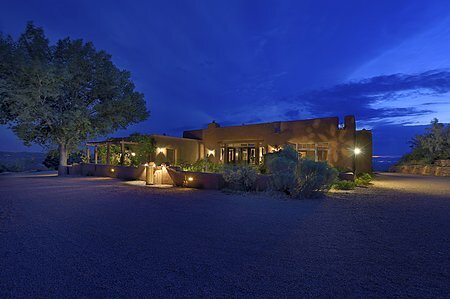 Where the stars and the sky kiss and meet the land, Casa de Milagro is sheer magic!